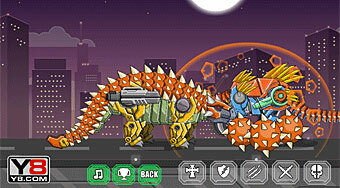 Do you like Toy War Robot Ankylosaurus? Share it with your friends. Build a robotic dinosaur, then paint it, test its functionality and go with him into the fierce battle of one on one with another robot.